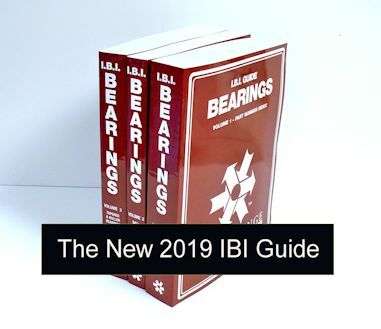 Printed editions for Bearings IBI, Mounted Units IMUI, Prefix/Suffix ID PSI, Seals ISI, Filters IFI, Drive Belts IDBI and Specially Priced Sets. 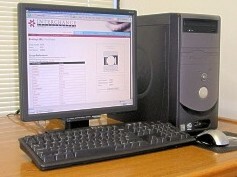 Electronic version of our Interchange Guide installs on your computer via CD ROM. Enter part number to cross-reference and results will display images, descriptions and dimensions! Instant online access to our Interchange database 24/7/365. You can select specific modules and subscription duration. Our International Interchange Guides allow you to cross-reference Bearings, Mounted Units, Seals, Drive Belts, and Filters quickly and easily. Our 2 million part database gives you the most comprehensive interchange information available. Both domestic and foreign part numbers for producers and original equipment manufacturers (OEMs) are included, as well as government data. These guides are an essential tool for anyone buying, selling, using, or specifying parts, and a proven way to increase uptime, consolidate inventory, and reduce costs. 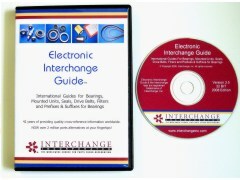 Our International Interchange Guides help those in purchasing, engineering, manufacturing, sales, catalog compiling, city desk work and inventory control, find part interchanges quickly and accurately for bearings, mounted units, pillow blocks, flange units, prefix/suffix ID, seals, filters, drive belts and other manufactured parts. Industries that benefit from part alternatives are agriculture, commercial, construction, industrial, material handling, automotive and truck. Available in Printed Book form, CD-ROM, and now by subscription with Online access to your choice of selected modules and subscription periods at partscrossreference.com. The only cross-references that include USA and International parts numbers dating back to 1918.